While I’m not as dogmatic as Miles from Sideways, I do tend to stick to what I know when it comes to wine. When I go to a restaurant and have to order among white wines I don’t know, I stick to Sauvignon Blanc or dry Riesling. When I go to parties with tables covered by anonymous bottles, I choose Côtes du Rhône. At home, I really like to drink my Pinot Noir, Zinfandel, and White Burgundy (when I have the money!). With wines costing what they do, it can be difficult to commit to a bottle of wine I know nothing about (which is why doing reconnaisance is so important whenever it is possible). I should be willing to take chances more often. 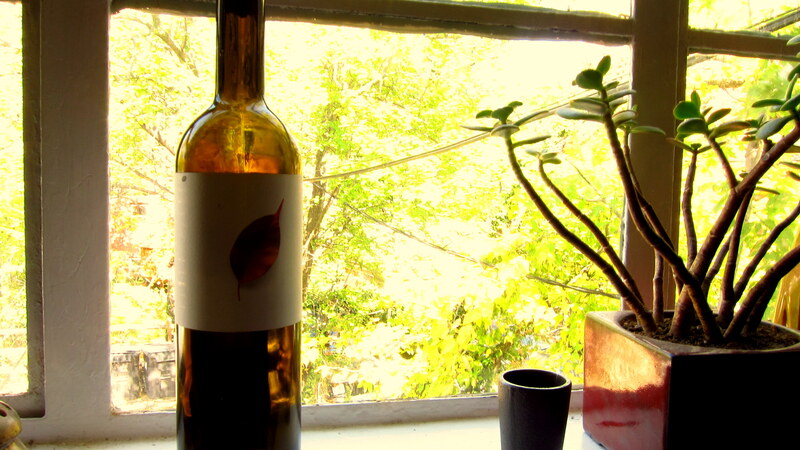 I had a bottle of the 2006 Francisco Alfonso Pedralonga DoUmia ($24) squirreled away from the January 25th deal of the DC Wine Buyers Collective. It had survived a lot longer than the other wines I acquired from that deal. I don’t know why… maybe it’s because I simply didn’t know what to expect from this wine. What if I opened it and it was undrinkable with the pot roast with which I was trying to pair it? This wine is from the Rias Baixas region of Spain. This is a coastal region that is famous for its seafood and for a wine that pairs exceptionally well with seafood: Albariño. Such is the supremacy of Albariño that most people, myself included, don’t know that this region also produces red wine (apparently red wine only makes up 1% of the total wine production in Rias Baixas). 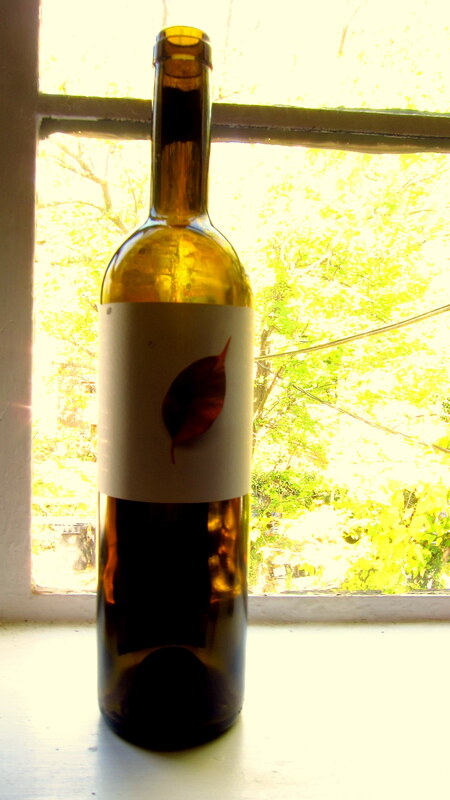 This particular wine is composed of 70% Mencía, 20% Caiño, and 10% Espadeiro. I’ve never even heard of the Caiño or Espadeiro varietals! So, when Phil from MacArthur Beverages recommended this bottle to me I was a bit nervous. But Phil knows his wine, so I decided to go with it. Mary Kate and I opened a bottle of this to accompany our New Haven-style white clam pie from Pete’s Apizza in Clarendon. What can I say? This was really f*cking good, but in a way that skirted very close to potential disaster. I say this because this was a funky, funky wine. Funky in a savage Southern Rhône way. It was almost so dark and funky that I thought it might have been hit by the brett train, but it was good. Stewed fruit on the nose. The mouthfeel was great–there was a surprising petillance which, with the wine’s ciderlike acidity, kept the wine from going irrevocably to the dark side. Mary Kate said this wine tasted smoky; this wine was not characterized by fruit as much as it was characterized by things like smoke, wet soil, mushroom. The DoUmia was quaffable, yet complex, and succulent as heck. The wine was a surprisingly good pairing for our white clam pie. The carbonation and acid were refreshing (they helped wash away the greasiness of the pizza), and the funk was a good complement to the the white sauce. I think, however, that this wine would make an ever better pairing for a pizza with tomato sauce, maybe with mushroom, caramelized onion, or sausage. I would like to tell you to pick up a bottle, but this wine is really not for everyone. I can imagine that on another day–perhaps if it were hotter or in a celebratory mood–I might not have liked the wine. Perhaps it would be better for you to pick up a bottle and hold onto it for a while, waiting for an occasion where a smoky, funky, high-acid wine with a touch of carbonation would be appropriate. Carbonation? Sounds like this wine may have been heat damaged. Can’t say I’ve had red Rias Baixas before though. Nice to see you writing again. Hey Shea, good to hear from you! Yeah, at first I thought that this wine might have been bad, but it was surprisingly enjoyable to drink. I think it might be best to have another bottle just to make sure, though. I’ve done some research on shipping in both Canada and the U.S. and the various sources I’ve read suggest that somewhere between 25-50% of wines shipped into the U.S. have been exposed to excess heat above 25 degrees celsius. All the more reason to be sure you are buying your wines from importers who always use refers and from distributors who deliver in temperature controlled trucks. I’d be curious to hear your wine store experience with temperature control. One of the first things I check for when I go to a new wine store is just how hot (or cold) the place is. Oftentimes, especially at general liquor stores, the temperature is around 80 degrees or worse. I’m not going to buy my wine from places like that–doesn’t matter if the wines were transported in prime refrigerated condition if the bottles end up sitting in a hot store for a few months. Ansonia Wines uses reefers, refrigerated trucks, and a climate-controlled warehouse. It is currently in-between retail locations, but the old location’s temperature was always set to the low- to mid-60s. I really like shopping at wine importers who have their own retail locations–Kermit Lynch is another example–because their wines just taste fresher. I liken it in my mind, at least, to going to a wine farmers’ market. Yes, good points. If only it were legal for importers to have their own stores in British Columbia.